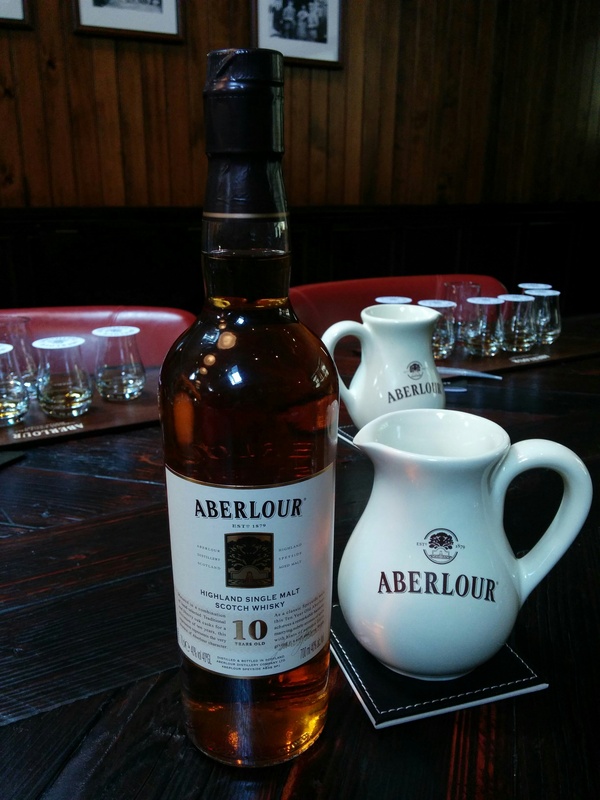 Although we have had the Aberlour 10 before, it was nice to visit it again at it’s birthplace during our tasting at the Aberlour distillery. Matured in a combination of ex-bourbon and sherry casks, it has the sweet softness that makes for easy drinking and is often used as a gateway dram for new whisky drinkers. Porridge and pine nutes. Floral perfume. Bitter hops, raisins and a drizzle of honey. Crisp apples, honeycomb, cinnamon, breakfast cereal. Quick and to the point with some faint spice. Drinkable but not overly complex or alluring. It is a very cereally dram for me. Sour fruits. Pre-ripened fresh apples. A bit like white desert wine. A bit tart and bitter. Fresh bitter oak and green apples. Bit of spices like in apple pie. Lively on the tongue. Kind of zingy with the bitterness. Zesty like apple peels. Hint of toffee and vanilla bean. Light and crisp. Like after biting into an apple. A bit of apple pie filling. It’s a decent dram. Not super complex but tasty and bright. Probably would be good to give as a gift to someone who is just getting into whisky or is just curious about whisky. For the price (which was sometimes around £20 at the supermarkets) it’s very good value.